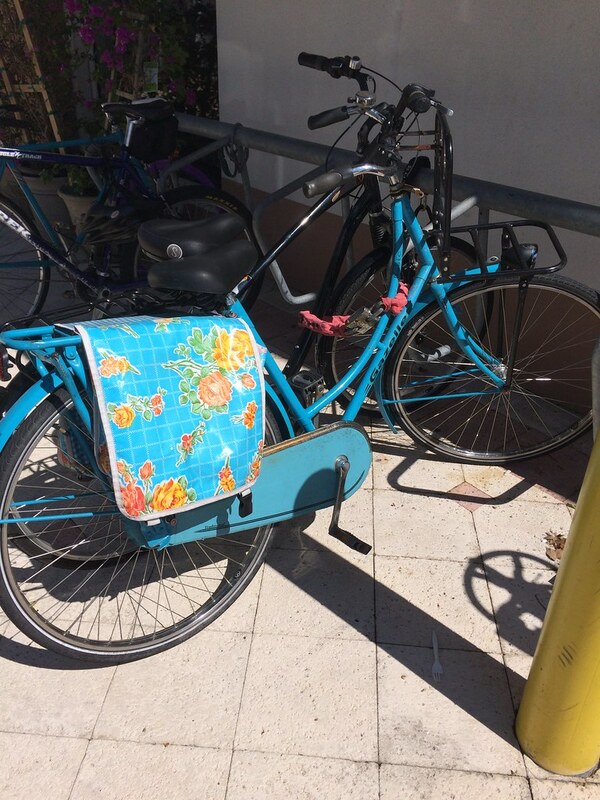 Palm Beach Cycle Chic: New Dutch Bike in Town! Who does this belong to?? 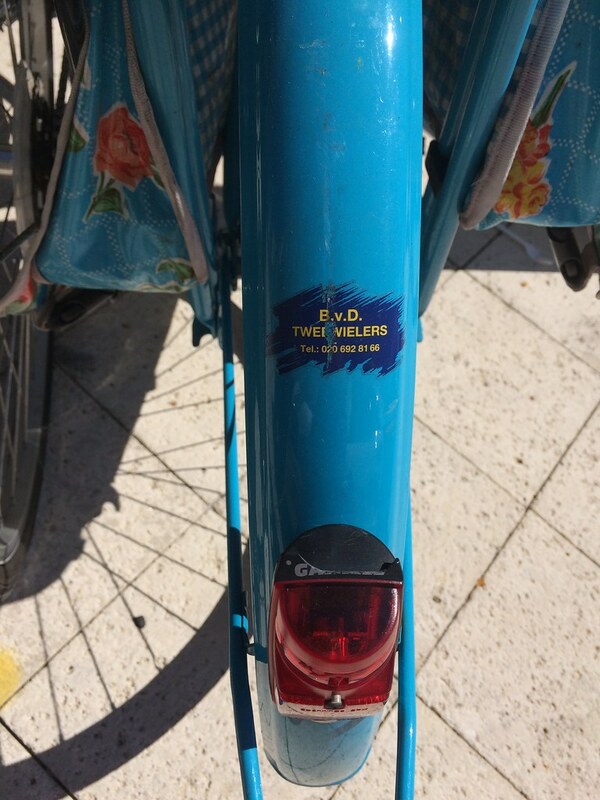 I want to induct you into the honorary WPB Dutch Bike Club! It's even got the sturdy heavy front rack and Kitsch Kitchen oilcloth rear panniers. Kitsch Kitchen is a funky shop in Amsterdam. Rear fender sticker tells me this bike has been imported here by its owner from the Netherlands.